It’s not easy for Russians to get their hands on a weapon for personal use - afterall, this is not America. The only available weapons for sale (after obtaining a license) are sport or hunting guns. Kalashnikov Concern makes such weapons and has opened an online shop: Even a foreigner can buy a rifle, although there is a lot of red tape to get through first! At the “Arms & Hunting-2017” international exhibition, Kalashnikov Concern launched a new online shop selling civilian weapons: a wide range of guns, hunting rifles, pneumatic and blank firearms etc. To order a gun a buyer should visit the official page - kalashnikov.com. It’s not possible to order weapons on the English version of the site, so choose the Russian option (by the way, it’s also not possible to buy a weapon and have it posted abroad). The tab “Интернет-магазин” (Internet-shop) should be avoided since it only offers customers pneumatic weapons and replica guns, as well as branded clothes and souvenirs. For the real thing, click on the “Продукция” (Products) tab before moving your mouse to “Гражданское стрелковое оружие” (Civilian firearms). Here you’ll find Saiga semi-automatic rifles, Tiger sniper rifles, Sobol carbines, and many other guns for hunting, sport, and training. 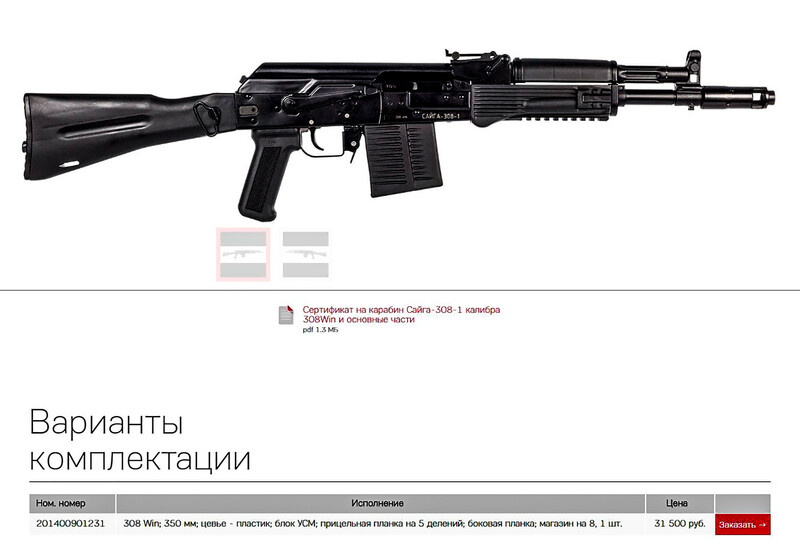 The buyer can see detailed information about the weapons including specifications, photos, and prices. After you have selected your gun, click on the “заказать” (order). Fill in the form: Name, address, etc (boring stuff), and the reference to your licence (required) that allows you to buy a civilian weapon. If all is in order, at some point your gun will be delivered to a store affiliated with Kalashnikov Concern for you to collect. Remember to bring your passport and license when you arrive to pick up your gun. 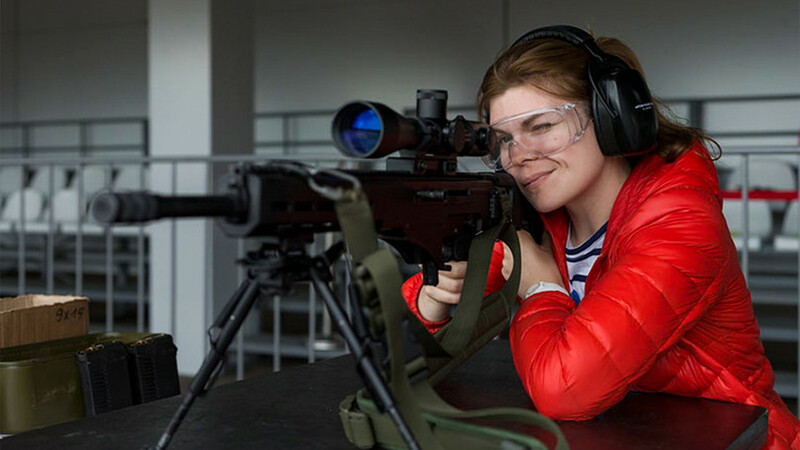 If you’re a foreigner, buying a civilian weapon in Russia is not easy. You need to apply to the Ministry of Internal Affairs, namely to the long winded General Administration for protection of public order and interaction with executive authorities of the Russian Federation constituent territories. The license can only be given by the request of the diplomatic representation of the buyer’s country. Moreover, the weapon should be taken out of the country during the 10 days after the purchase is done.